Philosopher, jurist, and one-time stand-up comic, Peter Suber is widely viewed as the de facto leader of the open access (OA) movement. A senior researcher at the Scholarly Publishing and Academic Resources Coalition (SPARC), Open Access Project Director for the public interest advocacy group Public Knowledge, and Research Professor of Philosophy at Earlham College, Suber is also an advisor to a number of other OA-related organisations — including the WikimediaFoundation, the Open Knowledge Foundation, and the Australian Open Access to Knowledge Law Project (OAK). Peter Suber was born in Evanston, Illinois, in 1951. His father was a jazz magazine publisher. His mother — Grace Mary Stern — became a prominent Illinois state senator, and in 1982 was the Democratic Party candidate for lieutenant governorof Illinois, running with Adlai Stevenson III. Suber studied philosophy at Earlham College (in Richmond, Indiana), and then did a doctorate in philosophy and a law degree, both at Northwestern University. While at Earlham he spent a sabbatical year in Douglas Hofstadter's artificial intelligence lab as well. To pay his way through graduate school, Suber developed a side-career as a stand-up comedian, working in clubs, universities, tech conferences, and television. As his gigs became more plentiful and lucrative, he had to choose between full-time philosophy and full-time comedy. The choice for philosophy was an easy one, in part, he says, because teaching philosophy meant that he didn't have to leave comedy entirely behind! Choosing philosophy didn't assure him a career, however. After turning down an unsatisfactory tenure-track job offer he realised that the tight job market did not allow him to be picky. He might have returned to comedy, but acquired Graves disease (a thyroid condition now under control), which made him too hoarse to speak in public for several months. So he started law school and remained full-time in the philosophy job market. His thinking was that if he found a good job in philosophy, he'd take it; and if not, he'd be trained for something else. After two years of law school he got an offer from his alma mater, which he considered an ideal job. So he arranged with his Dean to finish law school before starting his job, and then returned to Earlham to teach philosophy, law, and occasionally computer science. In the mid-1990s, intrigued by the potential of the Web, Suber began to put his academic papers online. To his surprise, he immediately began to receive emails from other researchers wanting to discuss his ideas. This was just the kind of feedback that he had always expected to get by publishing in print, but which rarely materialised until his work was available online. Excited by his experience, Suber began to make contact with other academics doing the same, and started a weekly newsletter. His plan was to report on developments, and encourage other researchers to take advantage of the new medium for disseminating their scholarship. Soon he was sufficiently gripped by the possibilities of what he now called "Free Online Scholarship" (FOS) that Suber devoted a sabbatical year to furthering his aim, and eventually deciding to put his academic career on hold to devote all his energies to FOS. For this Suber realised he would need funding. He soon secured a grant from GeorgeSoros' Open Society Institute (OSI) and in 2003, after a final post-sabbatical year of teaching, he and his wife (who had been teaching classics at Earlham) both gave up their tenured positions, and moved to Maine — where Suber threw himself his new project with energy and determination. That he had something to offer the world in his new role became apparent at a meeting organised by OSI in 2002. Held in Budapest, the aim of the event was to explore possible synergies between a number of apparently related developments — including several initiatives undertaken by SPARC to address the so-called "serials crisis", the nascent self-archiving movement, and the emergence of new publishers like Biomed Central, who were committed to exploiting the internet to develop new publishing models that would make research papers freely available to everyone, rather than accessible only to those able to afford the constantly rising journal subscriptions. The meeting was hugely successful, giving birth both to the open access movement and the Budapest Open Access Initiative (BOAI). It also attracted $3 million in funding from George Soros, for projects aimed at providing what was now no longer called Free Online Scholarship, but open access. Those attending the Budapest meeting also decided that it would be good to produce an open access manifesto — and the task of writing it fell to Suber. In penning the manifesto Suber first demonstrated his unique ability to articulate the aims and aspirations of the movement in strikingly clear and compelling terms. Frederick Friend, one of the other attendees of the Budapest meeting, describes it thus: "His beautiful words and phrasing gave the movement a vision which people in every country have been able to relate to." In recognition of his important contribution to OA, OSI has continued to fund Suber's activities ever since, enabling him to develop his daily-updated blog (Open Access News) and engage in advocacy. And with additional support from SPARC Suber has been able to continue writing his (now monthly) newsletter —The SPARC Open Access Newsletter. Both publications have become key platforms for promoting open access, and for publicising and recording its progress. And along with the Budapest manifesto, they are viewed as the bible of the OA movement. Suber is also widely sought out for advice by researchers, librarians, researcher funders, publishers, and governments. Above all Suber's work is valued for its precision and its unemotional but tireless advocacy for a cause that he has both reported on and helped to shape. "All of his writing has an intellectual rigour that one might expect from a good philosopher or jurist," explains the director of SPARC Europe David Prosser. "He can construct and deconstruct arguments. It is amazing to see him methodically pick-apart an anti-OA piece." Adds Prosser, "He is devastating on sloppy logic, inconsistencies, and disingenuous ideas, as well as being very clear on the distinction between opinion and fact." It is his objectivity and rationality above all that has seen Suber become the unofficial leader of the movement. His calm and inclusive approach has also proved the essential glue to hold together an often rowdy and rumbustious collection of highly-opinionated and disputatious individuals. For like most of the burgeoning free and open movements, the open access movement is constantly riven with disagreements and factional in-fighting, most notably between supporters of self-archiving (the so-called green road to open access), and those who insist that open access publishing (the gold road) is the best way forward. At the heart of Suber's ability to unite the movement is a commitment to what he calls "the big tent" — a tent from which no faction of the open access movement is excluded, and in which all shades of opinion are welcomed. His blog covers points of view he does not personally accept, but he gives them space to make their case before offering his own constructive, critical comments. In his own analytic pieces, Suber often argues that the movement will make faster progress by harnessing differences than by quarrelling about them, but he does not hesitate to criticise ideas he believes are incorrect or untenable, even from allies. He achieves the difficult balance of being inclusive but not woolly-minded or indecisive. Behind his approach lies a belief in the principle that the best way of achieving open access is to acknowledge when different strategies are compatible and to tap the energy of everyone who wants to play a part. The way to think about it, he says, is as a division of labour. "It's good for us that some people want to pursue OA journals first, because they will work hard to create OA journals. It's also good that some people want to pursue OA repositories first, because they will work hard to create and fill OA repositories. The two strategies are complementary and we need them both. Individuals have to decide how to spend their time, but the movement doesn't have to decide which of these strategies is more urgent. On the contrary, it should support this division of labour." Unlike many of his fellow OA advocates, Suber also views the movement in a larger context — recognising that the internet has implications for knowledge sharing that go some way beyond scholarly journal articles alone. And while insisting that the open access movement can achieve its objectives unilaterally, he is nevertheless conscious that there are important synergies with the other free and open movements, and reasons for sometimes working in common cause. 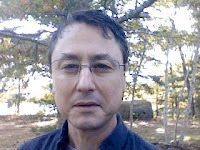 As Clifford Lynch, director of the Coalition for Networked Information (CNI), puts it, "Peter's interests are very broad — they go not only to open access, but to the future of scholarly communication broadly, and to questions that range from new genres of scholarly communication to open data and open notebook science. Indeed, he is also interested in questions like citizen access to government data beyond the scholarly setting." What is most striking is that Suber has acquired his leadership role not by sitting in smoke-filled rooms, and constantly travelling around pressing the flesh, but largely by sitting at his computer in the peaceful surroundings of coastal Maine — on an unpaved road off the Bagaduce River — from where he despatches a constant stream of news, commentary, advice and wise words. For although Suber travelled frequently, and spoke often, in the years immediately following the seminal Budapest meeting (and the subsequent Bethesda meeting), more recently he has deliberately cut back on travel, in part from weariness and in part to cope with the rising demands of his newsletter, blog, and the informal advice and consulting he undertakes. Indeed so successful a politician and diplomat does Suber appear to be that — despite his frequent absence at OA events — he has gained the respect even of those who oppose open access, or seek to divert it to their own ends. "Peter is the 'thinking person's OA advocate' — he is measured, reasonable and considers others' ideas (even if I don't always agree with his conclusions! )", says former chief executive of the Association of Learned and Professional Society Publishers (ALPSP) Sally Morris. Or as Springer's Jan Velterop, puts it, "Peter's measured and well put arguments are never offensive and on the whole as fair as you could expect from anybody who clearly believes in one side of the argument. That in itself made open access far more credible, sensible, and reasonable than the heated arguments that flew before, and keep on flying." In short, Suber appears to have gained the trust and respect of all the actors in the OA drama, not excluding the movement's hotheads and those who have sought to derail it. Vitally, suggests OSI's Melissa Hagemann, his non-confrontational approach has prevented the movement from "tearing itself asunder". But it would be wrong to say that Suber has no critics. Stevan Harnad worries that has a tendency to be too non-confrontational and emollient. This, he believes, has sometimes held the movement back. Although deeply complimentary and respectful of Suber, and keen to acknowledge the central role he has played, Harnad worries that Suber's determination to be reasonable has on occasions enabled the open access publishing faction to sideline and devalue self-archiving. "He is even handed to a fault," says Harnad. "If he were less compliant and obliging, he could have fought harder at the Bethesda meeting (where he was and I wasn't) where, vastly outnumbered by the gold contingent, OA essentially got defined as OAP [Open Access Publishing], omitting green completely, and setting OA back at least 3 years." However, Harnad adds: "But this is all carping at minor things considering that Peter is the only other person in the 'OA' movement who has seen and understood it all, as of 2001. Without exception, all others have either gone pure-gold, over-gold, or simply never understood green properly. Peter did." Criticism of Suber's ecumenism, however, overlooks the fact that beneath his emollient exterior lies a powerful and unbending determination, an extremely focused goal, and a well-articulated strategy. As fellow OA advocate Jean-Claude Guédon puts it, Suber "shuns controversy but will hold his stand if needed. In other words, he strikes me as someone quite courageous, but he does not look for fights." And if he failed to get green OA an equal hearing at Bethesda, explains Suber, it was not for want of trying. Not only was he outnumbered by the gold advocates attending, he says, but many of them were simply unable to comprehend the green argument. "The fact is that green OA has always had to fight for recognition," he explains. "Its novelty makes it invisible. People understand OA journals, more or less, because they understand journals. But there's no obvious counterpart to OA archiving in the traditional landscape of scholarly communication. It's as if people can only understand new things that they can assimilate to old things. All of us have had the experience of describing green OA at a meeting and then getting questions that presuppose that all OA is gold OA. All of us have seen critics object to green OA policies by pointing out supposed shortcomings of gold OA. This is the kind of obstacle green OA faced at Bethesda." In short, it would wrong to suggest that Suber is in any way a pushover, or that he is not prepared to call a spade a spade. Moreover, he stressed to me, he is a strong believer in the need to take a tough stand when necessary. "When calling a spade a spade, or speaking accurately, requires a fight, then I fight, and many of my public writings are 'fighting words' in just this sense." But he immediately adds: "Even then, however, I want to be constructive. I want to preserve the possibility that I might change minds and not just (as politicians put it) energise the base." Certainly it is not difficult to find examples of his tough talking. In September, for instance, he criticised the Canadian Institutes of Health Research (CIHR) for introducing a mandate with a "major loophole". He has also been a frequent critic of the US National Institutes of Health (NIH), which in 2005 retreated from a strong draft policy intended to mandate NIH-funded researchers to self-archiving their papers, to a weak request that they do so. As Suber put it, "I have to conclude that the NIH has weakened its policy and that the weakening is unjustified and harmful." And in April Suber criticised the Howard Hughes Medical Institute (HHMI) for agreeing to pay Elsevier between $1,000 and $1,500 an article to deposit HHMI-funded research into the PubMed Central (PMC) archive. After relentlessly cataloguing the failures of the agreement, he concluded: "In sum, what's wrong with this picture? HHMI is paying a fee for green OA. Despite its fee, HHMI is not getting immediate OA. Despite its fee, HHMI is not getting OA to the published version of the article. Elsevier (beyond Cell Press) is even lengthening its embargo period. Elsevier is permitting embargoed deposits in PMC, but it already permits free and unembargoed deposits in IRs. Actually making the deposits is a semi-automated clerical task that doesn't come close to justifying these fees." Importantly, Suber is not shy to take on the formidable Harnad — the self-styled "archivangelist" who regularly and relentlessly verbally batters opponents into submission, or silent retreat. Just this month he engaged in a series of public disagreements with Harnad over copyright and "permission rights." I too have felt the firm corrective hand of Suber. Several years ago I published a blog-based article in which I had described Suber as an OA evangelist. Shortly after I received a terse email from him in which he said that it was "inaccurate and pejorative" to describe him in that way. "It suggests that I make faith-based appeals, which I do not, or that I raise my voice, which I do not." He would prefer it, he added, if I would refer to him as an open access "researcher" instead. Suitably admonished I edited the quote! What is undeniable is that in putting his career on hold Suber has demonstrated a personal commitment to open access that no one else can claim to have made. As Harnad points out, "I sacrificed a lot of time to OA, but Peter sacrificed even more than that. He essentially traded his career for it, and I very much hope, if there is justice in the world, that once OA prevails he will be rewarded with the secure, prestigious position he deserves, rather than dropped by all those he has helped." He adds: "The sacrifice is all the greater once you realise that Suber views open access advocacy as a temporary duty, and dreams of returning to philosophy, and writing a book that will combine his many interests." In fact, Suber told me, he has plans for more than one book sketched out. "I have a dozen philosophy projects in different states of completion. Some I'll never finish even if I had time, but at least half are still high priorities for me." As further evidence that he views open access as a "digression", rather than an exit, from his career, Suber retains a non-remunerated research post at Earlham. In short, it is the combination of his total commitment to the cause and his ecumenical but firm guidance that has earned Suber his role as de facto leader of the open access movement. This has undeniably earned him the respect that leadership demands. When preparing to interview Suber I emailed Prosser to ask if he would comment on him. He replied almost immediately, "I'm happy to, but I'll gush — I think Peter is an International Treasure!" I had been hoping to interview Suber for some time, but events kept getting in the way. I was also conscious that he is an extremely busy person, and since I needed to steal at least three hours of his time to do the kind of interview I had in mind, it was not a regular journalistic request that I was making. In the event, Suber agreed immediately, and our first conversation took place the following week. This was followed up by a second call five days later. We began our conversation on Skype, but had to switch to the regular telephone when it kept falling over. The only interruptions to our conversation were the constant chattering of Suber's parakeets — which, judging by the volume of the noise, were surely perched on his shoulder leaning into the phone mouthpiece, and for all I knew expressing strong views on the subject of open access in parakeet-speak — and a sudden whooshing noise towards the end of the conversation. The latter turned out to be a vacuum cleaner, although it wasn't clear whether the ever-busy Suber had started to multi-task, or a third party had suddenly decided that the floor under his desk was in need of urgent attention! On later seeing the draft text of the interview Suber evidently regretted not having silenced his birds before we spoke. He commented, with some passion: "I hate those parakeets! And for the same reason dread being thought of as a parakeet person!" In speaking to Suber I found myself constantly thinking that I was talking to an Englishman who had, by some strange accident of fate, acquired an American accent. While saying this may seem like shocking prejudice, his reserve, politeness, and extreme modesty seemed, well, distinctly un-American. This impression was only strengthened when at the end of the second conversation he said, somewhat apologetically, that he had struggled to answer many of the questions before I threw the next one at him. From the diffident way in which he broached the subject I concluded that, while he is happy to be robust when discussing ideas, Suber is generally shy and retiring when it comes to other matters, particularly his private life — a point underlined by the almost monosyllabic replies he gave to my questions about his family. What was surprising to me, however, was that for a man who in a former life had been a comedian, Suber appeared unexpectedly serious-minded, not to say somewhat humourless. Aside from a couple of ironic remarks, I detected no playfulness, and no hint of an absurdist view of the world. During our conversation he chuckled only once. When I tackled him on this, Suber replied: "I used to be angry and funny. Now I am neither." He then added dryly, demonstrating that he can still get in touch with his former self, "Maybe it's just cognitive decline!" I have always been puzzled about Suber's motivation. Why would anyone put their career on hold for a cause that, at the time he abandoned his professorship, was far from certain of success? In the hope of finding a clue I read some of Suber's non-OA writing before speaking to him. In doing so I came across a baccalaureate address he gave at Earlham College in 1987. There he discussed how Danish philosopher Søren Kierkegaard had argued that in the modern age many of us are able to arrive at a position where we have no external constraints on us (a state that Immanuel Kant called negative freedom), but that most of us never move beyond that point — to find a new authority, or a new direction (positive freedom). As such, believed Kierkegaard, we never reach the state of being able to "self-legislate" about our lives, and our lives are therefore too often meaningless. I wondered if maybe Suber's decision to abandon his career at Earlham had been inspired by a desire to "self-legislate", and to put new meaning into his life. Perhaps, I thought, it was an example of a philosopher deciding to live by the sword. When I pressed Suber on his motives, however, he cited neither Kierkegaard nor Kant, but the founder of the Quakers, George Fox. Fox, he said, had stressed the need to live a useful life. Suber added, "I do believe that teachers live useful lives, but I saw a chance to be more useful." If after reading it you feel it is well done you might like to consider making asmall contribution to my PayPal account. I have in mind a figure of $8, but whatever anyone felt inspired to contribute would be fine by me. To read the interview with Peter Suber (as a PDF file) click here. This interview is number ten of The Basement Interviews. I would like to acknowledge the help of the Open Society Institute, which provided a small upfront grant to enable me to get started on The Basement Interviews project. Further information about The Basement Interviews can be found at the Open & Shut? site. The other interviews in the series are indexed here.